Months ago RF Staples put out a call asking for donations of pillowcases. Many generous people brought them in and Mrs. Buchko’s sewing classes made them in to dresses that have been shipped overseas to those in need. 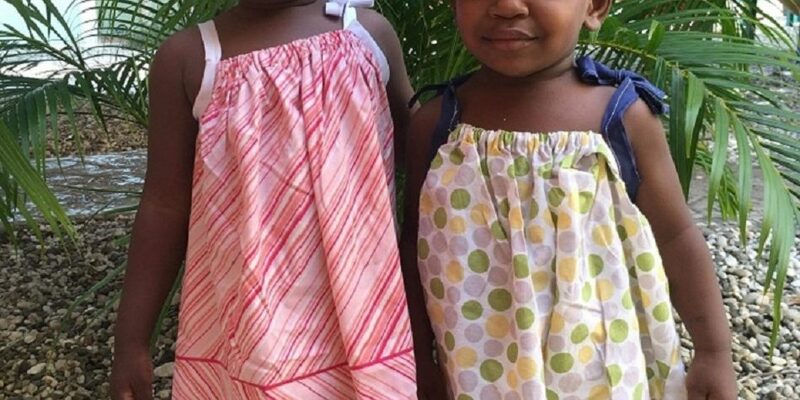 Here you can see them being modeled by two young girls at an orphanage in Haiti. Thank you very much to those who donated and to Mrs. Buchko and her aunt for facilitating this undertaking.